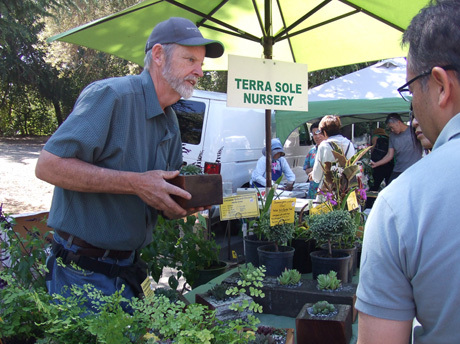 Terra Sole was founded in 2004 by John and Sherry Hall with the goal of experimenting and growing native plants, unusual plants and drought tolerant plants that are adapted to our dry summer climate. “We push the limits on water use in our test gardens and use low impact planting and growing methods. We share what we learn with our customers. 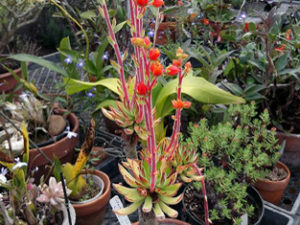 We grow a large variety of native and unusual plants, some of which are old-fashioned and some are hot new introductions with lots of good old standby’s in between. Tours begin at 10am with self- guided tours through the shadehouse and greenhouse. 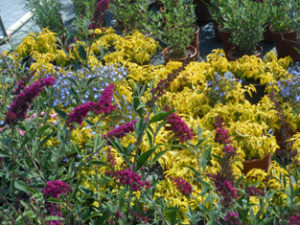 Garden nerds will be available to answer plant & design questions. There will be a kids activity as well. This is a very charming place with a lot to see! 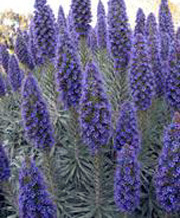 They grow a variety of unusual plants that you won’t find in most nurseries. 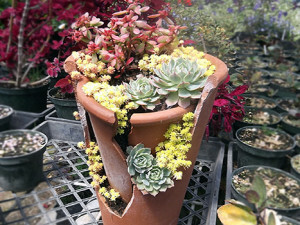 A large assortment of plants are available for purchase at the nursery.